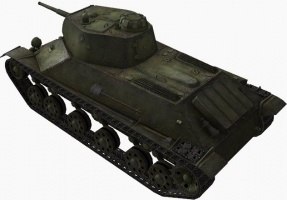 The T-50 is a Soviet tier 5 light tank. 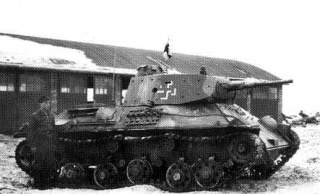 Developed in the early 1940s to replace the obsolete T-26, but did not see mass production due to the beginning of WWII and the complex production process required. 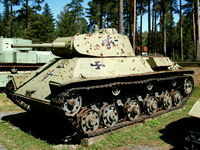 A total of 75 vehicles of different modifications were manufactured. With its extreme maneuverability and reasonably good gun, the T-50 has switched roles from a lightning-fast scout that can turn the tide of a battle into one of the most versatile flankers at Tier V. Its previously infamous turning has been buffed to even higher levels. However, it is somewhat slower when stock and accelerates a bit sluggishly. The end result is a DPM flanker/passive scout, much like the 59-16. 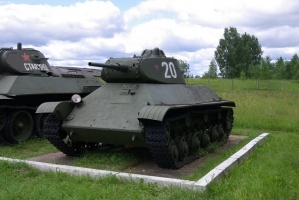 The T-50 leads to the MT-25. Since the introduction of Patch 8.7, the 440HP and 500HP engines have been removed, somewhat slowing down this tank. Yet the originally ridiculous traverse speed of the T-50 has been buffed even FURTHER, making it extremely maneuverable, and terrain resistance has been reduced, helping it attain its former glory. 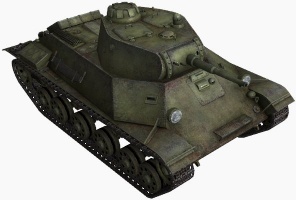 As of Patch 9.18, The 37mm Automatic SH-37 gun has been removed, and 45mm guns replaced by dedicated versions. 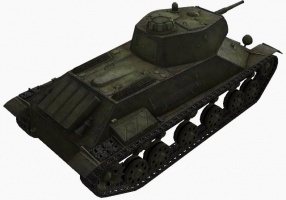 The new 45 mm VT-43M possesses even higher alpha damage comparable to 57mm guns such as british 6-pounders, but has slightly worse accuracy, increased aimtime and reduced rate of fire. With that said, the T-50 now also receives better matchmaking, no longer meeting tier VIII enemies. Use the T-50 like a support recon. 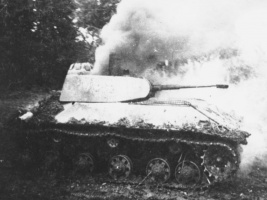 Due to the accuracy of your gun, take defensive scout positions and if possible, snipe in the early game, picking off suicide scouts and lightly armored medium tanks and scouts. Track enemies with your insane rate of fire to gain tracking bonuses, but do not get into the thick of the battle due to your low hitpoint pool. As the battle progresses and enemy numbers dwindle, one could probe deeper into the map and also secure large portions in the process. 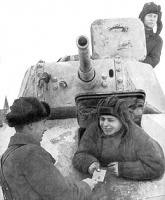 If presented the chance, do not hesitate to circle any lone enemy heavy tank or heavy TD and reap its HP. 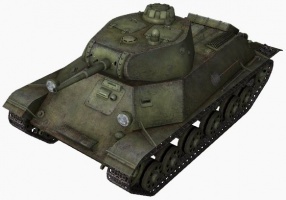 You should have no problem circling him, as the M4A3E8 Sherman has even lower speed than you and is considered one of the more known circling tanks available. You could also hunt artillery by taking advantage of distracted enemies. Your "piddly" gun will make sure that you are not prioritized by heavier enemies with larger guns, allowing you to take advantage of their concentration and penetrate through enemy lines. Once finding an artillery piece, destroy it with impunity. However, do NOT sit in front of the SPG and plink away at its armor. Your armor is thin, and no amount of sloping can help you against 155mm caliber high-explosive shells, which will consistently one-shot your tank even with splash damage. For active scouting purposes, it's great maneuverability can be a shining asset in addition to the high camo values; but the below average view range makes doing so tricky, especially if sent into uptiered battle where most vehicles could see 20m or even further than the T-50 do. Unfortunately, not a single module carries over unless you've already researched MT-25 through T-34. In that case, you might want to mount 45 mm VT-43M immediately with enhanced torsion bars installed. Research the T-50M suspension to increase the already crazy traverse speed and to allow mounting of more advanced modules. Unlock the 45mm VT-43M to receive a major boost on firepower, improving aimtime, accuracy, damage output and penetration altogether. Research the V-4M engine for increased mobility. This page was last modified on 24 September 2018, at 11:08.